Performers include: Jeremy Sisto, Jane Levy, Alan Tudyk, Carly Chaikin, Allie Grant, Cheryl Hines, Rex Lee, Abbie Cobb, Ana Gasteyer, Maestro Harrell, Kara Pacitto, Katelyn Pacitto, Jamie Denbo, Jay Mohr, Arden Myrin, Edward Padilla, and Parker Young. A moderately successful architect in New York City, George Altman (Jeremy Sisto) has been a single father to Tessa since his wife’s postpartum departure. He does the best that he can. What he lacks in a general knowledge of a teenage girl’s psyche, he makes up for with a genuine desire to understand and help her navigate through her adolescent years. At 15, Tessa (Jane Levy) enjoys absorbing all the life lessons from life in the big city. She’s hip and has a genuine interest in Fellini movies and good indie rock music. The city is absolutely everything to her. After discovering a box of condoms in her room however, George decides that they need to move to the suburbs to find a more wholesome and nurturing environment. What they find in their new community of Chatswin is not what either expected and has George wondering if they haven’t jumped out of the frying pan and into the fire. Noah Werner (Alan Tudyk) is an old friend of George’s and is a suburban bon vivant. After putting himself through dental school, he decided he’d earned the right to let loose and experiences everything their suburban community had to offer. He loves and frequents every square inch of the place, from the tanning salons to the hair salons to whatever other in-vogue salon might pop up. Dallas Royce (Cheryl Hines) is a flirty alpha mom who does it all and somehow keeps it all under control. She’s never seen the inside of a diner, flown with a layover, or spoken to a mechanic. She cares deeply about her fellow man though, as evidenced by her membership in numerous associations and charities — and her trying to help the Altmans. Impeccably dressed, she’s always happy to advise others how they should do the same. Dalia Royce (Carly Chaikin) has lived in the lap of luxury her entire life. Her friends and everything she owns all scream money — including the car she isn’t licensed to drive. She’s Malibu Barbie, but with more mascara and less emotion. She would prefer not to mix company with those who spend less than $2000 when they shop. In contrast is her daughter, Lisa Shay (Allie Grant). She’s the kind of person who deserves to be happy in life but probably never will be, at least not while she’s in high school. She spends her days doing all she can to fly under the radar. And who can blame her? Her parents shower all their love and devotion on her brother Ryan (Parker Young) and the Chatswin High glitterati respect only the Nordic and faux-Nordic. At high school is Mr. Wolfe (Rex Lee), a man who never planned on being a guidance counselor but had to due to the bad economy. He’s fully embraced his position though — between the hours of 12:00 and 12:45. Despite his apathy, Mr. Wolfe has a good heart — mostly because he knows he has a yearly review with the school board. George and Tessa slowly learn to navigate the pitfalls of suburban life and, with time, they might even find that it isn’t so bad. Once you get past the plastic smell. When Tessa joins a knitting circle, George is a little surprised by the age gap between Tessa and her new friends. Still reeling from his one-night stand, George decides to put pen to paper and writes a song dedicated to his muse. Meanwhile, newlyweds Malik and Lisa can’t seem to get along. First aired: May 14, 2014. What do you think? Do you like the Suburgatory TV series? Do you think it should have been cancelled or renewed for a fourth season? Suburgatory: Is the New ABC Series Worth Watching? Bring this show back! 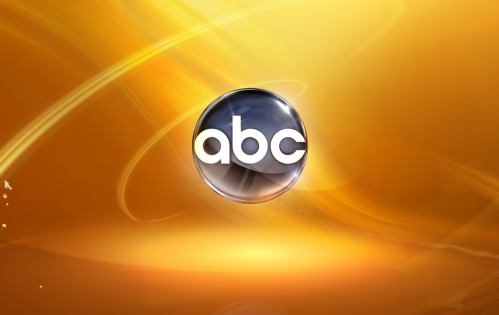 Why oh why does ABC constantly cancel their great comedies? PLEASE, PLEASE, PLEASE BRING IT BACK. IT WAS MY FAVORITE SHOW! !